Melody Monroe became hooked on clay while growing up in the Kansas City, MO area and she has been addicted since. 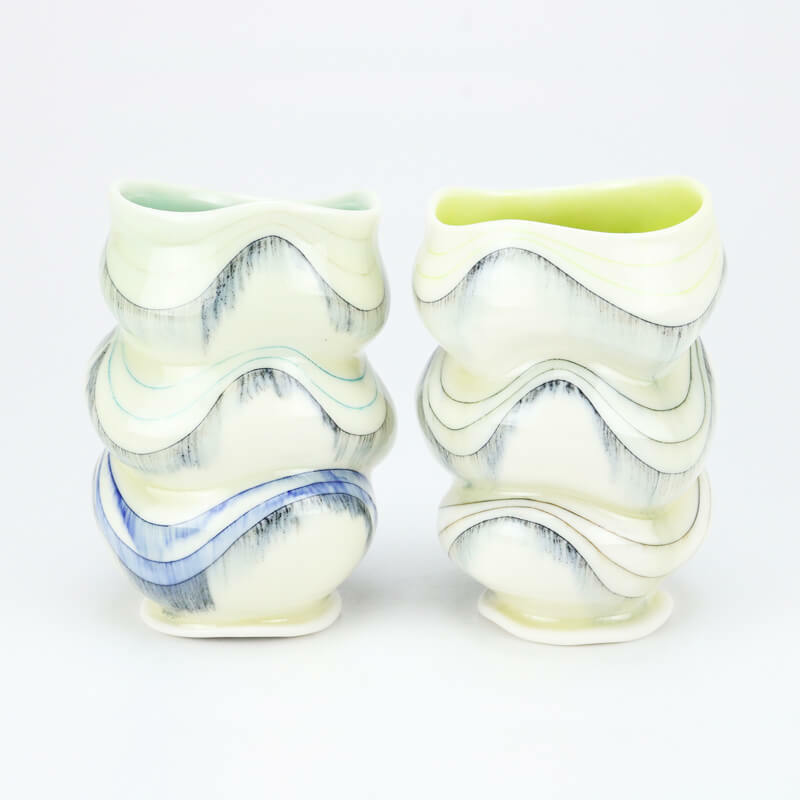 Her work combines the exploration of form and surface with an interest in creating functional pots. She is currently pursuing her BFA in Ceramics at Northwest Missouri State University in Maryville, MO, and hopes to continue her education past her undergraduate degree. I find passion in creating functional forms like mugs, bowls, and tumblers that will have a repeating role in someone’s daily life. I draw inspiration from the natural world around me and use clay as my way of exploring the physical world. My curiosity sparks when I look at a map, new landscape, or scientific drawing, which always contains fascinating paths and structures. I translate these wonders into my work in the form of line, pattern, color, and shape, while porcelain allows for the blank canvas on which to communicate my discoveries. I hope to entice the viewer to interact with my pieces: follow the lines, look inside them, explore the form, and ultimately make their own discoveries.